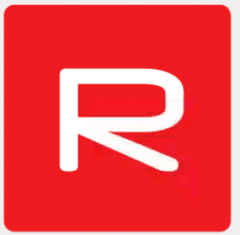 Hello Dealsnloot Readers,I Am Back With Rappio App a best way to earn free recharge on every incoming call. Sounds weird but yes it is possible now to earn free recharge without doing any lengthy task.Use Rappio to get free mobile recharges and pay your postpaid bills by letting it customize your phone’s ringtone. Get greeted with a cool ringtone every time and get free recharge every time your phone rings. Rappio app pays you every time when you receives call and You can also Get Rs 5 per Refer.So Loot Rappio App And Get Unlimited Free Recharge. 1. Download Rappio App from Here . 3. Now verify your number and proceed. 4. After successful verification, goto App Dashboard and set any 3 Ringtones from Rappo App. 5. Now you will get Rs.0.25 on every incoming call + refer friends & earn Rs.5 per referral. Minimum Recharge Rs.30. You will get instant recharge after redemption. Enjoy this new way to earn free recharge and keep sharing this post with others so that all can avail. No points on which phone’s ringtone is silenced. If you do not get OTP after waiting few minutes, than close the app. Clear all apps from recent task. Now open the app and initiate the registration process. After collecting the significant amount you can redeem for free recharges or pay your phone’s bill on Redeem page.